God has other plans for her life. The best parts of the novel to me, were the parts that were of Afshar’s invention. Everything that was created outside of the Bible story, I found to be fascinating, particularly Boaz’s back story. The fine details. 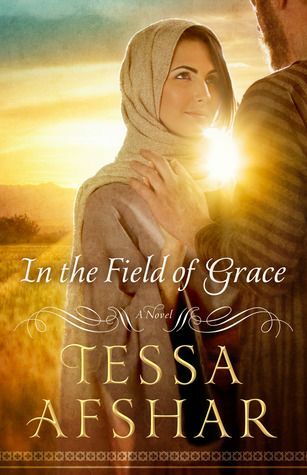 The details of this book is what separates it from other retellings because it manages to bring Bethlehem and Moab to life, allowing the reader to really see what life must have been like in those times. With every Afshar novel, I find myself learning more and more unique things about the Jewish culture than I had not known. The chemistry between Boaz and Ruth. It was so nicely done. You could see them falling for each other slowly, and also see what felt like, obstacles in their way. I also liked the way that Ruth begins to win over the hearts of the Israelites, almost one day at a time. Spiritually, Boaz has to learn to let go of his fear and place his trust in God and Ruth comes to know God in a real way. A lot of moments felt like they were almost verbatim from the Bible. And while that’s not a bad thing, I just found myself more or less drawn to the creative and unique tidbits of the novel that enhanced the Biblical narrative rather than the parts that were the Biblical narrative itself. Overall, though not my favorite novel by Ms. Afshar, still a beautiful retelling. Previous Post Monday Musings…2015 Books!